Get the best in boho-inspired wedges this season with Nikita. Chic and stylish, Nikita is an essential wardrobe style! The cool laser cut-outs are the ultimate highlight of this shoe. 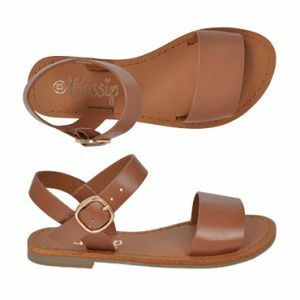 Stay safe and secure thanks to a chic single toe strap and the zip-up ankle strap. Nikita is perfect for all day casual wear. Enjoy supreme comfort with only a slight wedge heel. Love the look? Try Samara for an even more glamorous version!